An image gallery that displays all of the images in a particular fileset as a series of thumbnails. You can optionally enable a lightbox effect (the "Fancybox") so that the images zoom out when clicked. The size of the thumbnails and the zoomed images are configurable, as well as the number of columns to display the images in. 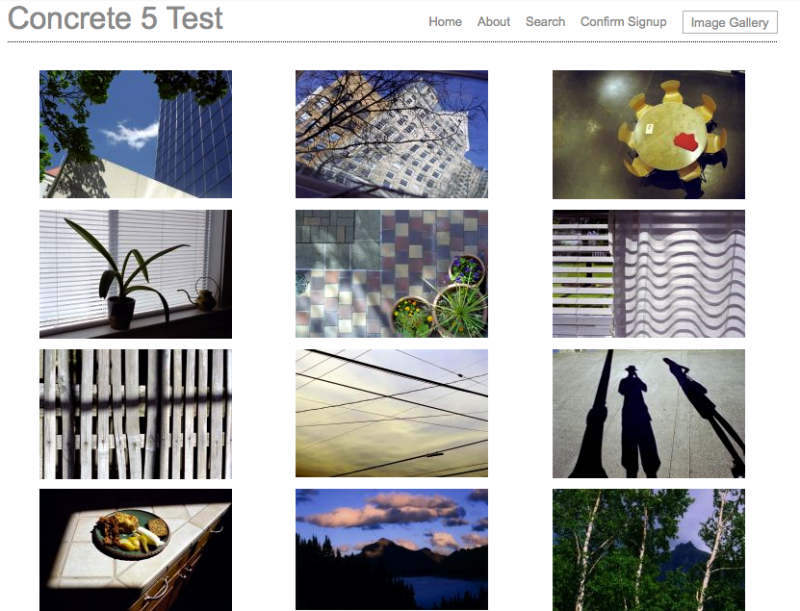 You can also change the lightbox zooming effect and the placement of captions. In addition, the editing interface for this block gives you the ability to rearrange the fileset images using "drag and drop" so that they can be displayed in any order you wish. 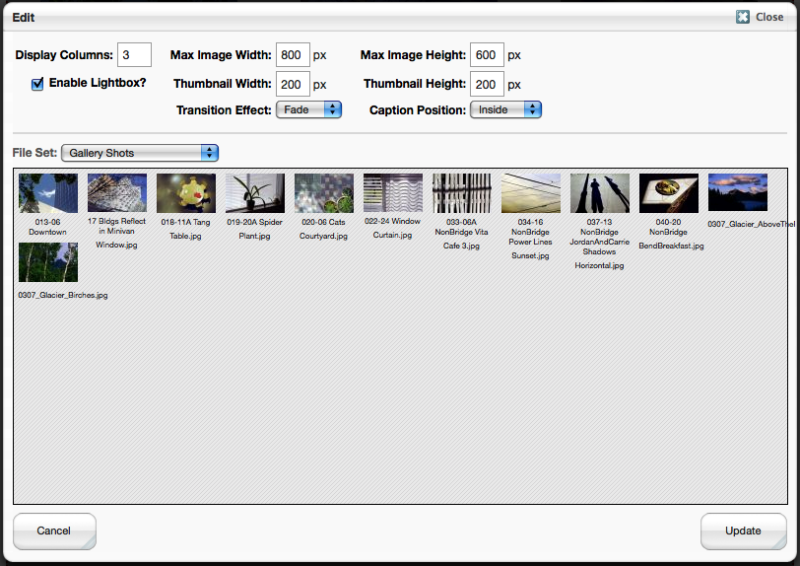 To change the lightbox captions, you must edit each image's "Description" property in the File Manager (Dashboard -> File Manager, click on image thumbnail, choose "Properties", click the word "Description", edit the text box, then hit "Enter"). 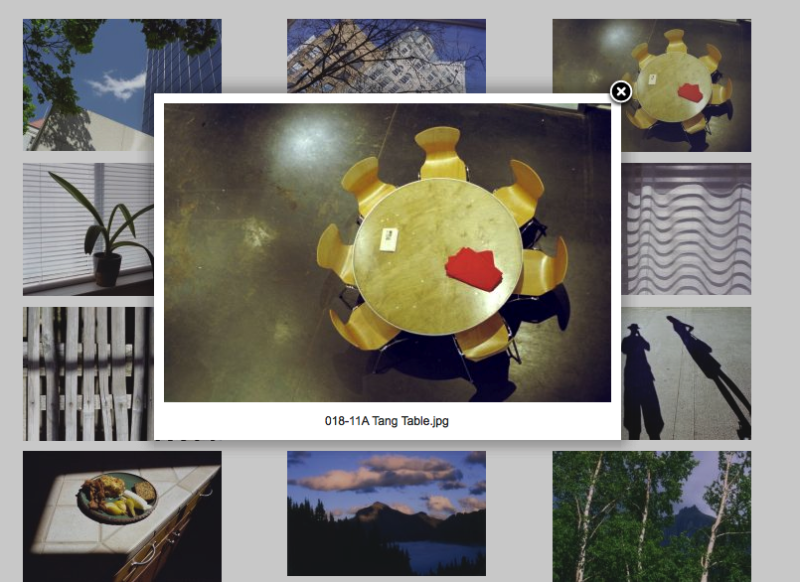 If you like this gallery but require more advanced features such as image cropping, thumbnail titles, and easy title/caption editing, check out the Deluxe Image Gallery addon.